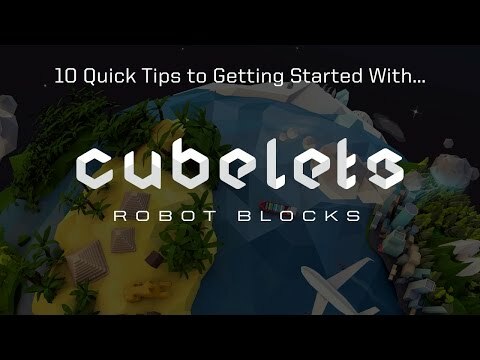 Cubelets are magnetic blocks that you can snap together to make an endless variety of robots with no programming and no wires. 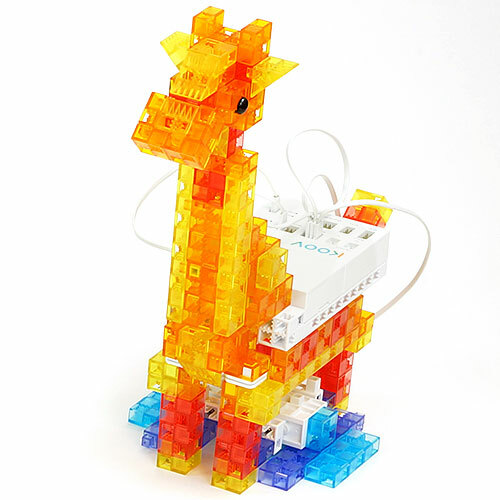 Cubelet-based robots can drive around on a tabletop, respond to light, sound, and temperature, and have surprisingly lifelike behavior. Each brick has a specific function. 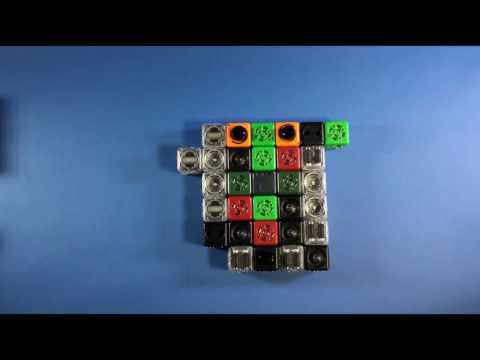 Cubelets can connect to Lego bricks. 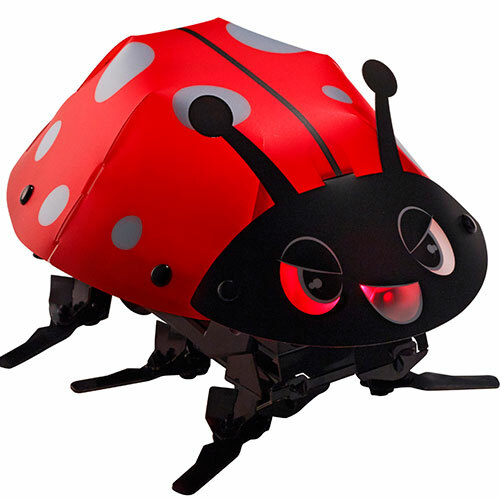 Little robots with surprisingly complex behavior. Each Cubelet is an 8-bit computer, which means that when they are snapped together in a robot construction, they form a computer network. 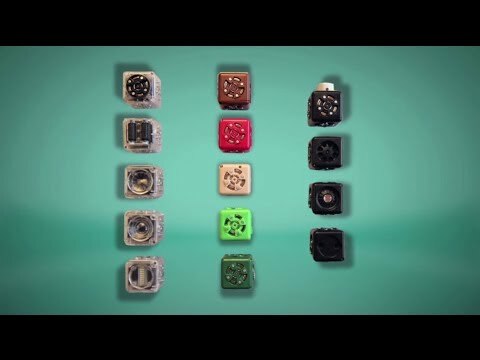 The whole is greater than the sum of its parts: Cubelet robots can demonstrate what's called "emergent behavior," a natural phenomenon observed in anthills, flocks of birds, and schools of fish. 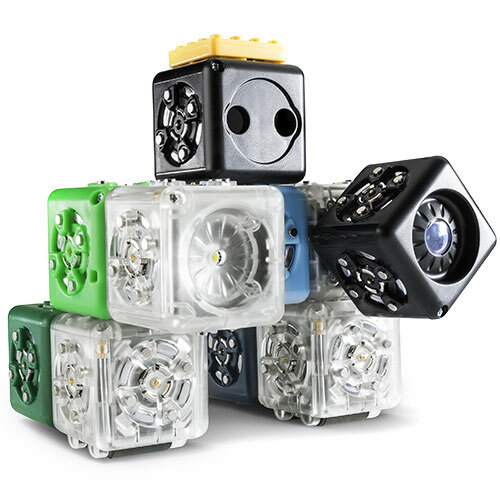 Each Cubelet has an LED on one corner that lights up to indicate that it is getting power and communicating with its Cubelet neighbors. 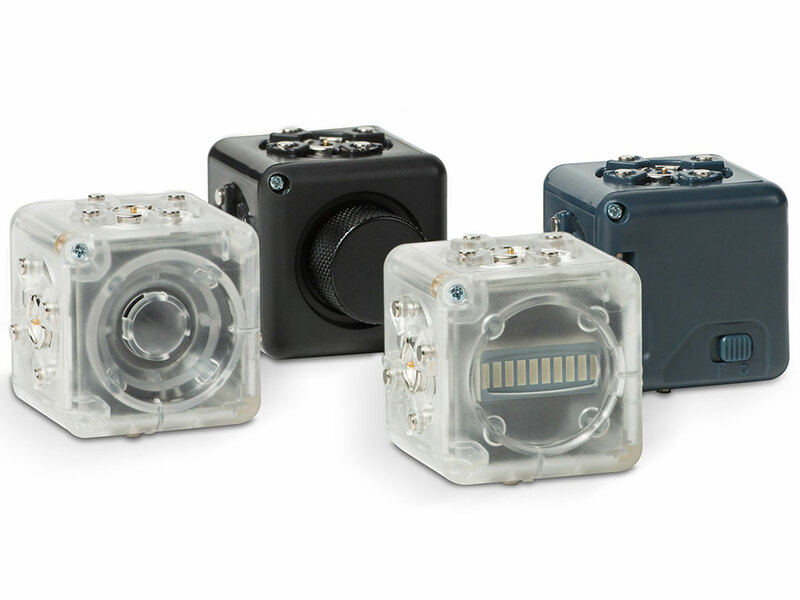 Cubelets were invented by Modular Robotics CEO Eric Schweikardt as part of his PhD thesis. 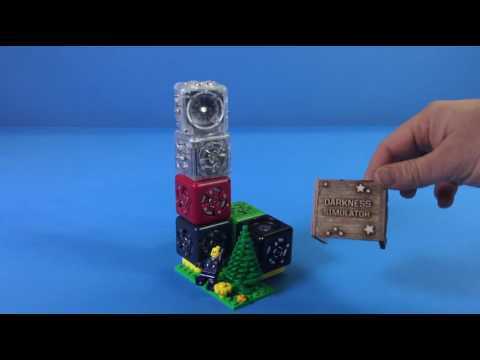 When a Cubelet wants to communicate with another Cubelet to which it is not direclty connected, it passes data through the intermediate Cubelets. Modular design with magnetic faces for easy building. 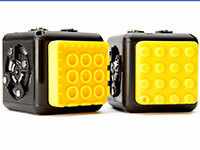 Each Cubelet is pre-programmed for a specific function that enables sensing, thinking, or acting. 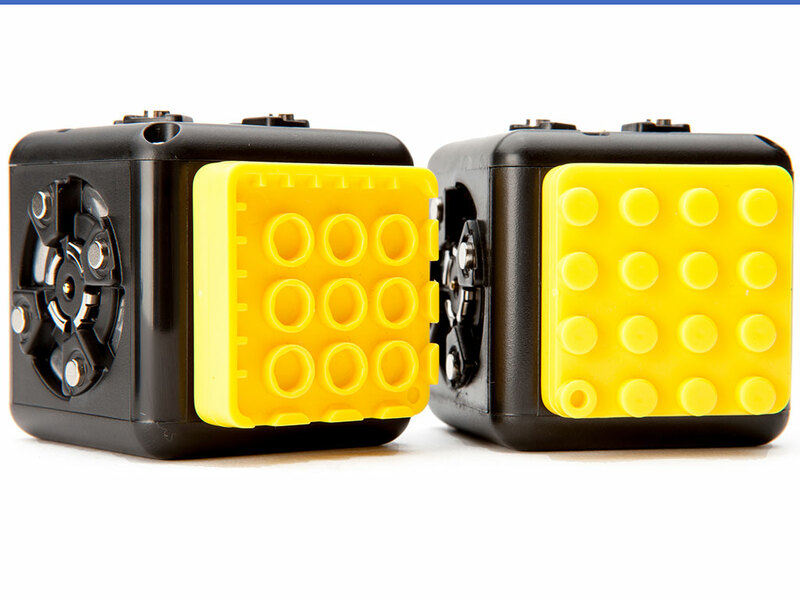 Powered by a single rechargeable Cubelet battery. 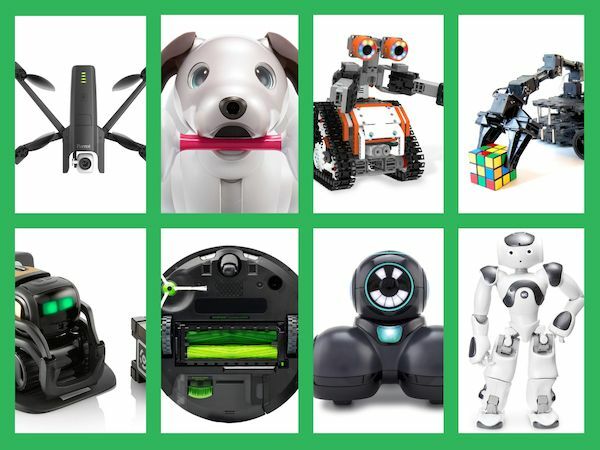 Programming via Blockly or C. Features free educator resources online. 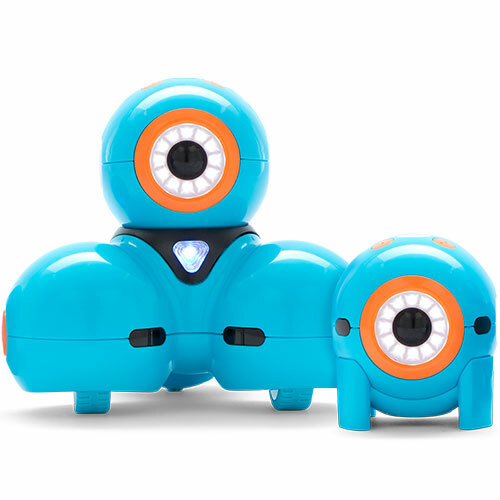 Discovery Kit includes a Bluetooth Hat, which pairs robot creations with mobile devices. Custom sensors including infrared (IR) proximity sensor, thermistor temperature sensor, phototransistor light sensor, and potentiometer. Optional Bluetooth Hat (Discovery Kit). 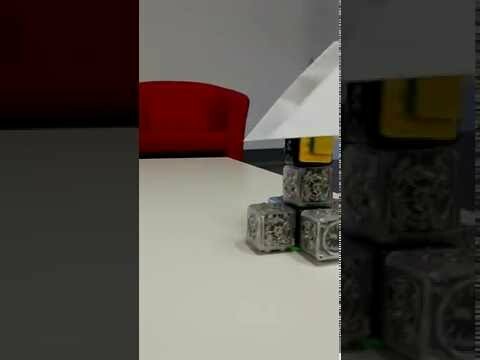 Cubelets pre-programmed with code. 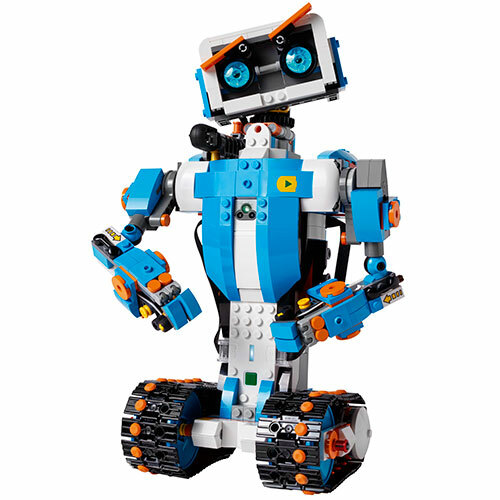 Modifications can be made using Blockly and C.
$140 (Discovery Set). 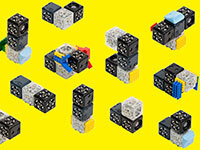 Individual cubelets, educational packs, expansions, and accessories are also available.